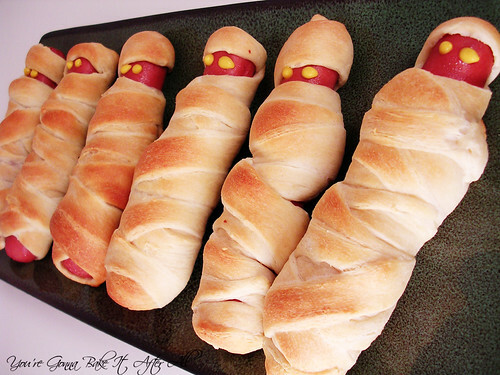 After seeing these adorable Mummy Dogs on Picky Palate, I made them for a little pre-Halloween get together last year. I didn't get a chance to post them before Halloween, so I saved the post for this year. I used light crescent rolls and turkey hot dogs to make them a bit healthier. You can even use breadstick dough if you prefer. These were delicious and so festive! They are perfect for a Halloween party - whether as a main dish or as a snack. I think kids would love these as well. 1. Separate crescent roll dough at perforations. 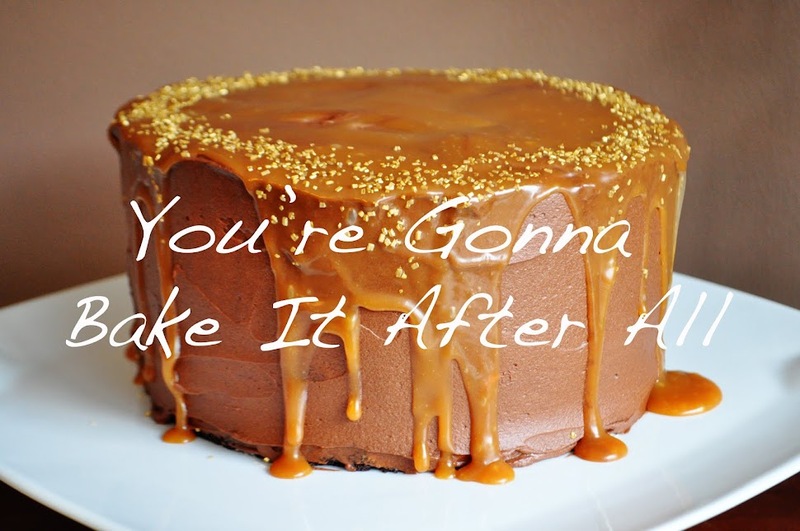 Cut into thin strips of dough. 2. Wrap strips of dough around each hot dog to resemble mummy wrappings (as shown in photo), pressing loose edges together so they stick and stay in place. 3. Place wrapped hot dogs on a baking sheet and spray dough lightly with cooking spray. 4. Bake for 13 - 17 minutes, or until dough is light golden brown and hot dogs are heated through. 5. Use mustard to dot eyes onto mummy faces, and serve with your favorite condiments. I want my mummy.....dog. These are a simple idea that are too cute and really fun.